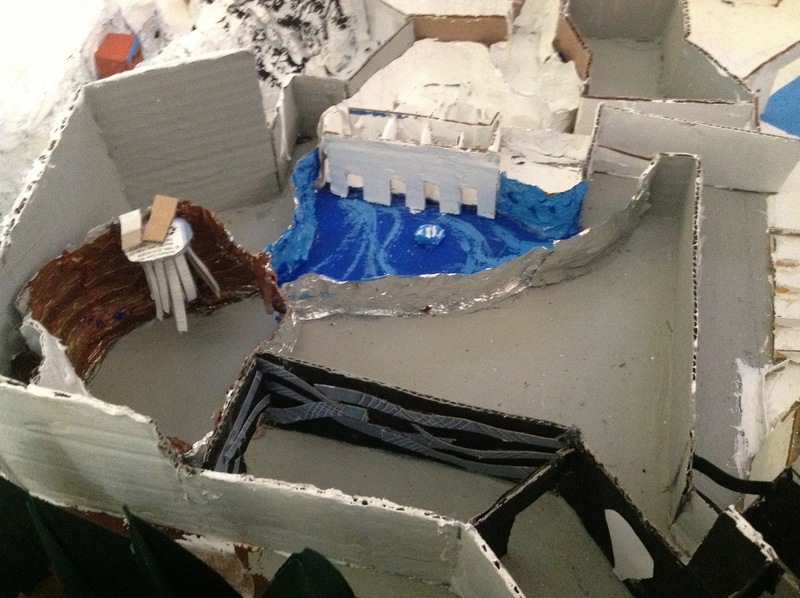 I recently finished my model of Antarctica: Empire of the Penguin at SeaWorld Orlando. The ride opened in late May. 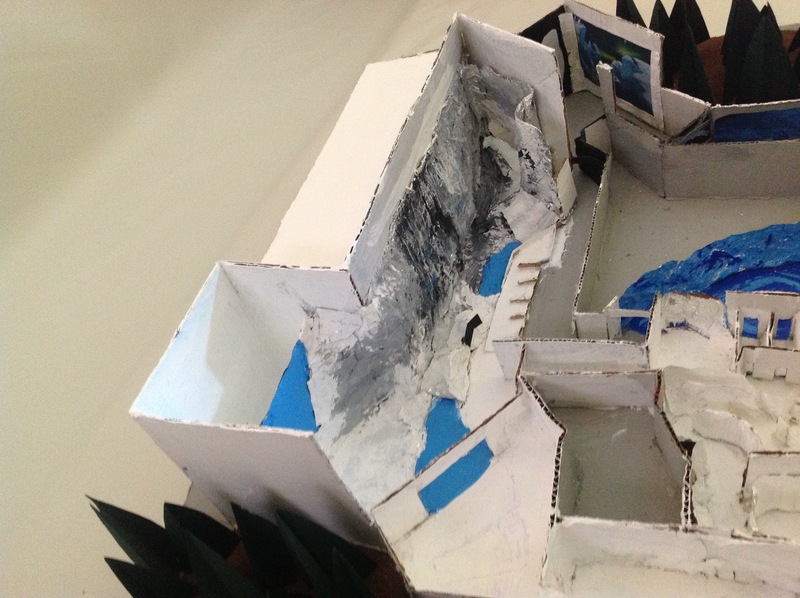 SeaWorld had been giving the ride over a year of hype because it is a full on themed land which includes a restaurant, dark ride, penguin habitat and never before built rock and ice work. The dark ride explores the life of a penguin named Puck. The ride travels through caverns, views two large screens and finishes in front of the penguin habitat. It is a huge step for SeaWorld as many park are now creating themed lands and attractions within their parks. They reused the gift shop and restaurant buildings from the old Penguin Plaza. Also, they kept the back stage support building for the new penguin exhibit. The ride system was developed by the amazing folks at Oceaneering. They also built the ride system for Transformers at Universal. For this ride they combined two of the world’s best ride systems! It features a trackless motion base ride system. There are eight cars in total which are dispatched in two groups of four. 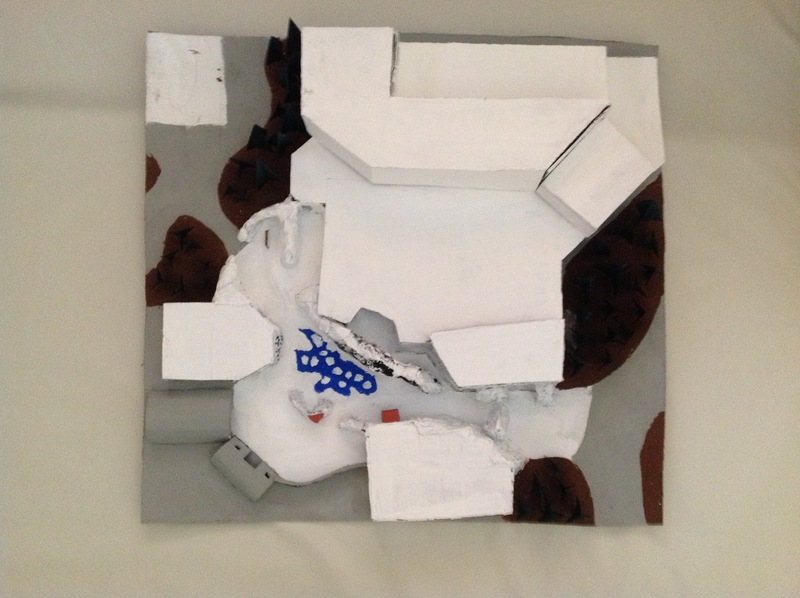 I constructed the rock/ice for this model by painting foil white. Next, I would shape it into the area it would cover. 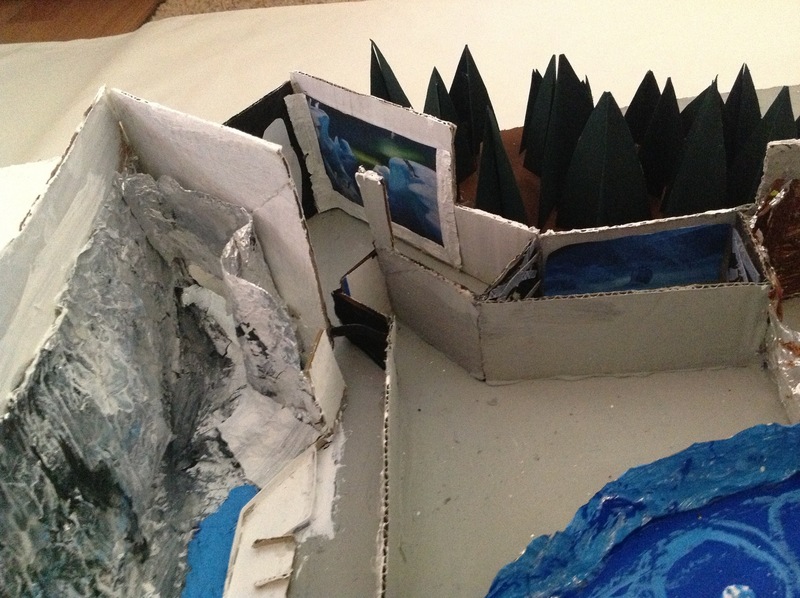 Then I would add hot glue and smear it around so when light shines on it, the ice looks like it is melting. I scaled a screen shot of the ride’s projections and glued them in place of the screens. Lastly, I built the trees and roof for the building. The roof is removable and comes off in five parts. Please share this article using the tabs below. You can follow me on Facebook, Twitter, and on YouTube by searching “Kolby Konnection.” You can email me at kolbykonnection@gmail.com. 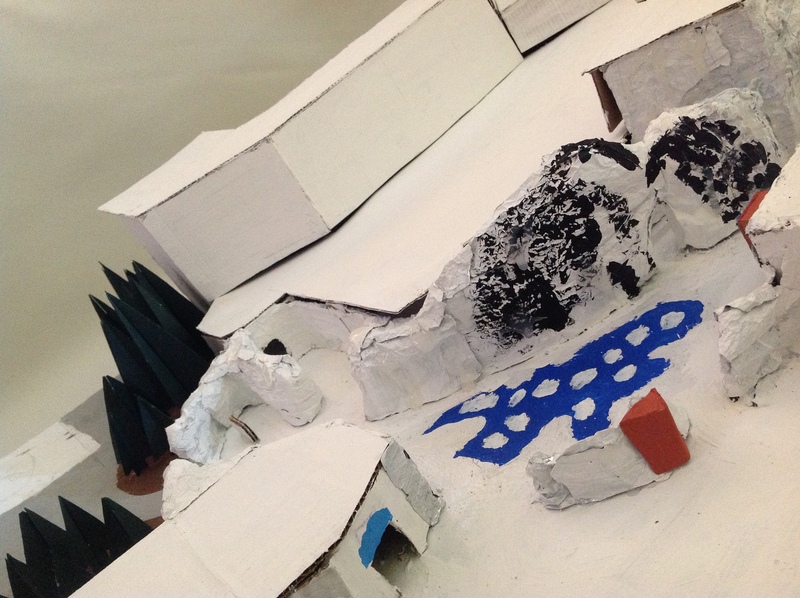 Are you impressed with my Antarctica model? Let me know in the comments! Great job with the color and ice Kolby!